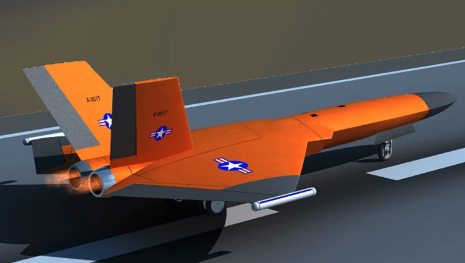 The Department of Defense (DoD) awarded Sierra Technical Services, Inc. (STS) with a follow-on contract to build a second demonstrator of the 5th Generation Aerial Target (5GAT) stealth drone. 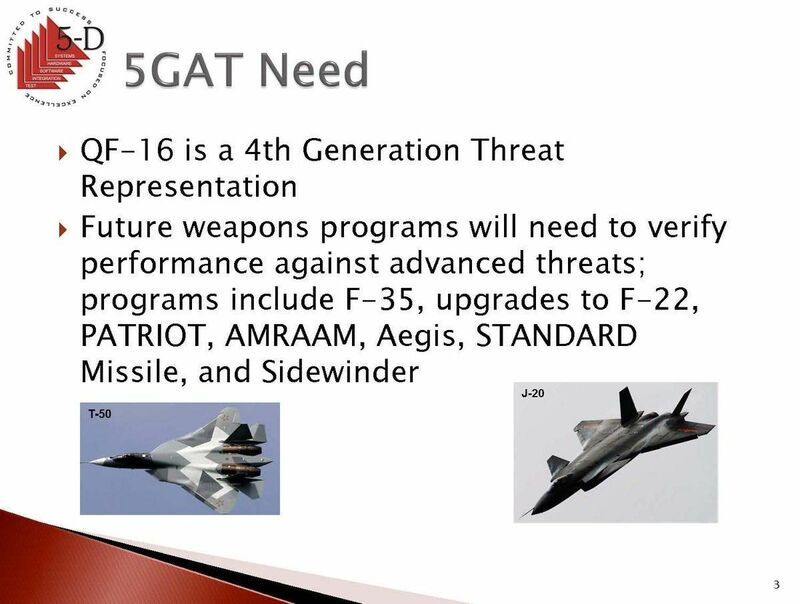 The 5GAT is a fighter-size drone that is designed to train U.S. Armed Forces in how to counter Chinese or Russian fifth-generation fighter jets. The Pentagon is studying whether follow-on production versions of the drone can be used for air-to-air and ground-to-air weapons evaluation, pilot training, and ground forces training, reported FlightGlobal. Last March, STS was awarded the initial prime contract on the development of the first 5GAT demonstrator. Both contract awards originated from the U.S. Army Corps of Engineers Contracting Office. The defense contractor expects the first 5GAT to fly this summer. The second drone is scheduled for flight testing in the second half of 2020. Both 5GAT drones are being manufactured at Tehachapi Municipal Airport, a small airport in Tehachapi, California. 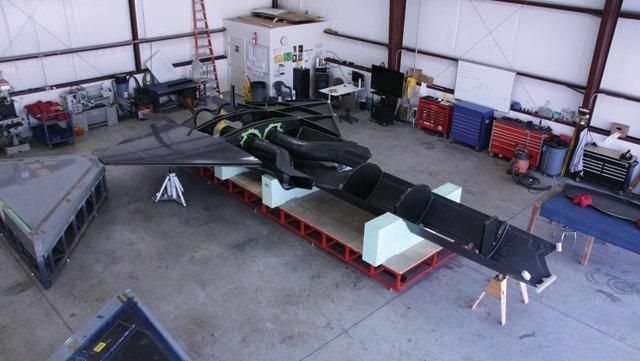 The contractor is using composites for the airframe and recycled parts from Northrop T-38s and F-5s, including landing gear and General Electric J85 single-shaft turbojet engines. 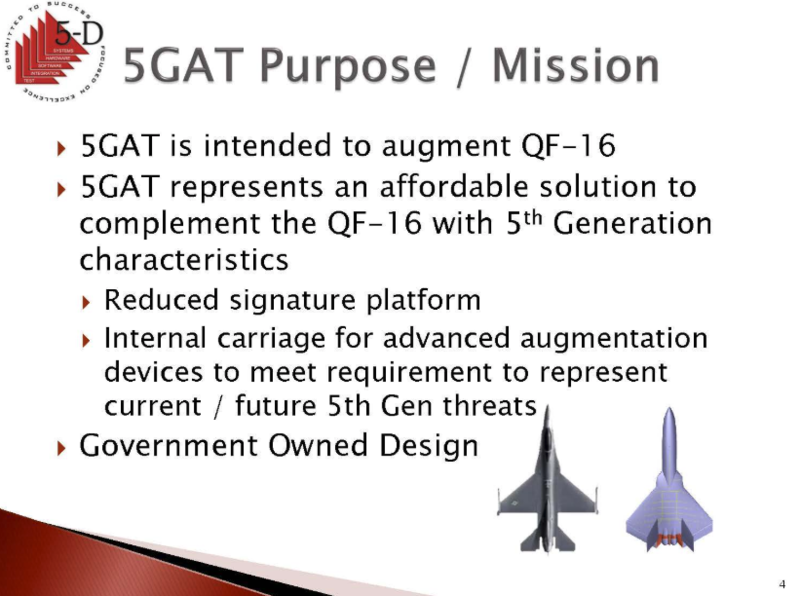 In a separate 2018 statement, the company told FlightGlobal that 5GAT is a low-cost solution to the Boeing QF-16, a full-scale target drone that uses the General Dynamics F-16 Fighting Falcon airframe. The Pentagon paid STS $15.9 million to complete the first 5GAT. The second contract’s dollar amount was not disclosed in the company’s latest press release. 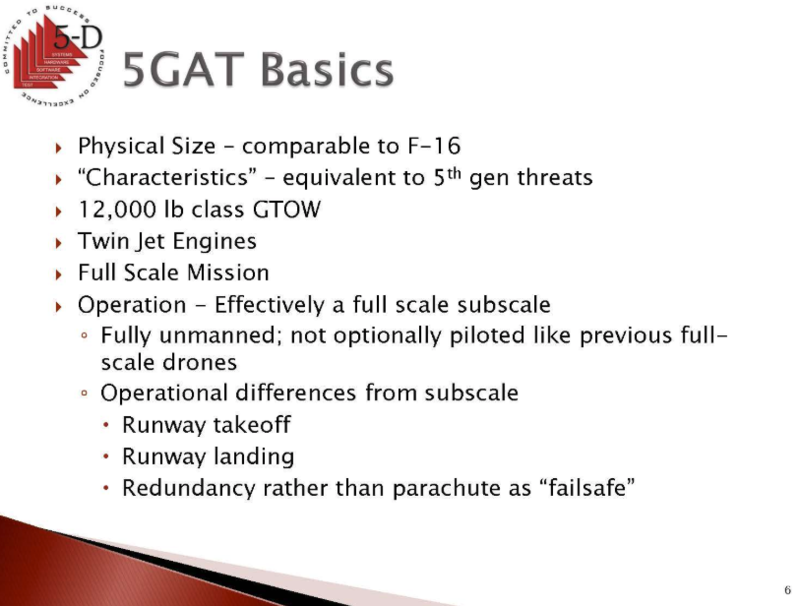 5GAT is equivalent in size to the F-16. It’s designed with fifth-generation characteristics that allow it to travel Mach 0.95 with a maximum operating altitude of 45,000ft. The purpose of the new drone is to train U.S. fighter pilots for dogfights against Chinese or Russian fifth-generation jets.